Why is there a new CVI form? The Royal College of Ophthalmologists together with RNIB highlighted that the Certificate of Vision Impairment form (CVI) required urgently updating as important information was out of date. References to legislation were also outdated (e.g. the Equality Act has replaced the Disability Discrimination Act). It was also a good opportunity to simplify the form and ensure that it captures the information needed to support people to receive appropriate help. What is happening to CVI form across the UK? This change relates to the Certificate of Vision Impairment form (CVI) in England. A new CVI form has already been introduced in Wales and there will soon be a new one in Northern Ireland. They are similar, though not identical, to this England version. There are plans to replace the BP1 currently used in Scotland with a Scottish version of the CVI for people aged 16 or older. 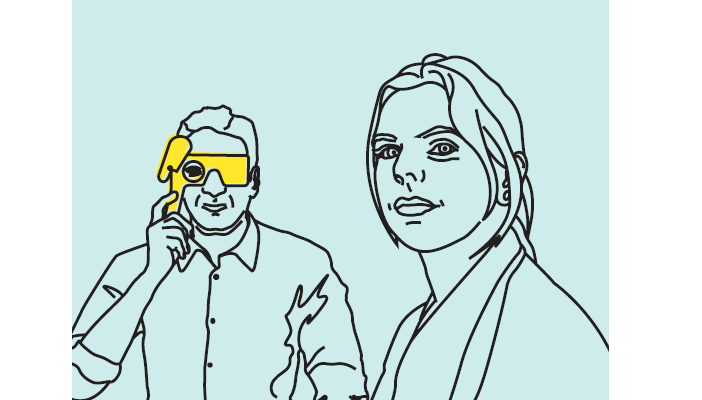 Younger people in Scotland are covered by a separate arrangement through the Visual Impairment Network for Children and Young People (VINCYP). What are the main differences between the old and new form? The form has been simplified and only collects essential information, making it easier to complete. There are no longer separate forms for adults and children. The updated form is now more relevant to both and provides more information to patients regarding the support that is available to them. Eye Clinic Staff have a key role in supporting the process of CVI forms, ensuring they are completed fully and linking with local authorities and specialist vision impairment education services. The revised Explanatory Notes provide more clarity regarding the process of certification and diagnosis. The revised CVI form also provides more information where patients can obtain further advice and support. This is also a great opportunity to remind GPs of their role in referring to rehabilitation services provided by social services or voluntary organisations. When should we start using the new form? The updated CVI forms should be used as soon as they are available in August. How do we get the new forms? The documents should be opened as ‘read only’ copies, saved with a local file name and tailored with your hospital’s logo and / or the clinic contact details. When should we stop using the old form? You should stop using the old forms as soon as the new ones are available. What should we do with copies of the old form? It is important that Ophthalmologists and Eye Clinic Staff ensure that any existing stocks of the old forms are destroyed. What are the key benefits that I can explain to patients? Having a CVI triggers off the process of registration and is often a positive step towards getting help to stay as independent as possible. The CVI form will provide your local council with better information about your circumstances. They can provide a face to face assessment of your needs and refer you to a specialist or services such as vision rehabilitation. Who signs the certificate off? Only a Consultant Ophthalmologist can sign off the CVI form, but Eye Clinic staff are encouraged to ensure the updated forms are fully completed and processed.